I'm Chris Shattuck and this is "Introduction to our Project in Reviewing Mockups". In this chapter, we are going to get the resources we need from the client in order to build our site. We'll review the mockups and map them to elements on our newly installed Drupal site. And then we'll make a few adjustments and run into a bug along the way. 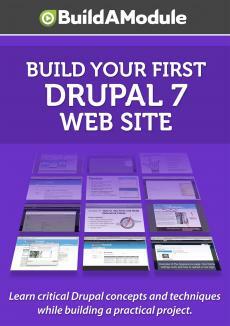 In this series of videos we're going to build a Drupal site from start to finish. The only thing that you need to get started is an empty Drupal installation. If you are new to working with web sites or you're not comfortable setting up Drupal on a local server you can use some of the tools that we mentioned that we need in the introduction such as bitnami or acquia desktop to simply install Drupal like you would any other desktop application without having to install and configure a complete local web server yourself. Our approach to building this site will be extremely practical. Along the way, we're going to run into many common problems and we'll not only discuss how to solve these particular problems but we'll also uncover the tools that you can use to solve future problems as you build other Drupal sites.